Noob, Rotrex SC options - Miata Turbo Forum - Boost cars, acquire cats. Just a noob here with the need for speed! Although this sight is mostly for discussion about turbo power, yes, I've gone to the dark side and decided to install a Rotrex Supercharger on my 96 Miata. throttle body. Coolant bypass going on as soon as the 949 radiator is installed. better option, with room for higher HP if wanted in the future? Hoping someone's been down this road and can share their experience and advise. Sounds like you are reasonably well researched... read my build for some advice on what not to do. Does your son have a build thread here on MT.net? I suppose the thought is that the Rotrex will have low enough torque at low RPM that it can boost up to 300 whp at high RPM without bending stock rods? Thanks for the response. I wasn't as clear as I should have been in my opening of this thread. 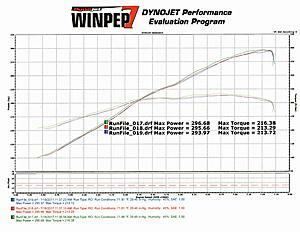 250-300 whp is what I would like to see at some point, that's why I questioned if the -94 wasn't the best option. To begin with, yes with stock internals, an untuned system, the lower end of that HP range would be my desired starting point. I hate to admit to ignorance but here you have it; I'm not sure what the difference in HP I would be starting using the Kraftwerks Kit for the NB which comes with the -74 as opposed to the -94. They state that the -74 on a stock engine would be in the 190-200 hp. They can tell me what percentage of added air the -94 would flow, but that was it. I also have to wonder if the intercooler for the base system would be sufficient to keep intake air temps in check on a 90 degree plus track day. The more I think about it, the more questions I have! By the way, DN, the quote is great! I'll keep it in mind. To answer your questions, no and yes! What's your thoughts on max HP the stock rods can handle? You can go with either the 74 or the 94. The 74 should give you about 250 with that config. See oregonmon's thread. My build is just opposite of what you have in mind. Tiny turbo for fun street, early boost, low end torque. I’m not familiar with the centrifugal supers, but others are. You can see my mods in my sig block. With an 85mm pulley and a gutted cat, my Kraftwerks C74 kit dyno'd at 211hp/170tq. The max boost I've seen on track is 8.8 psi. I think there may be another 10 horses to be had if the spark table were more aggressive, but I asked to keep it conservative so I can beat on her on track. I had originally installed the Rotrex on a ~134,000 mile engine. At ~144,000 miles, she was using three quarts of oil per two day event, down on power and smoking badly during downshifts. I replaced the bottom end with one from a Japanese Domestic Market used import motor that had about 60k on it. I re-used my 25,000 mile rebuilt head. That's the combo making the 211/170 numbers. The odometer now reads about 153k. I've had her on track in temps above 100 degrees. I usually short shift at 6600 or so when it's that hot, and I can usually complete a full 30 minute session. I did four days straight at VIR in early November in high 50s low 60s temps, and the coolant barely crossed 200. I still have the a/c hooked up, but never use it. It's coming out over the winter and I suspect all will be well with track temps next Summer. Last edited by poormxdad; 11-25-2017 at 02:59 PM. I'd suggest going for the 94 Rotrex. Keep in mind you're on the ragged edge for stock block. Keep boost modest and torque below 200 and you should be good. I made 247 whp and 191 ft/lbs on a mustang dyno with my 225k mile 1.6L, a c30-94, and a custom intercooler. I spin the supercharger to about 90k rpm (c30-94 has a 100k limit while c30-74 has 120k limit) @ 7200 rpm. After 5k miles of track and street abuse, the motor is starting to smoke on decel, so I am building a similar 1.8 to you, minus the head work. 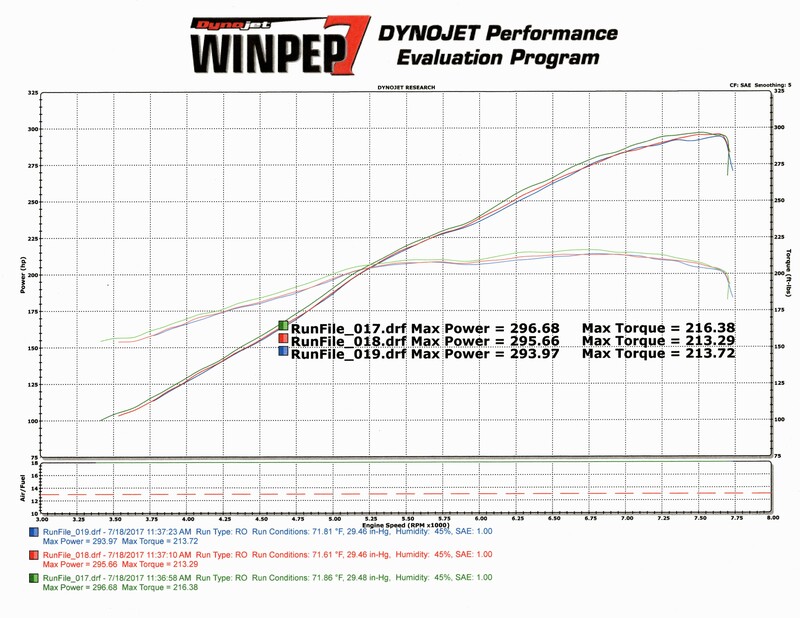 I am hoping for 300whp on the same dyno. Currently the -94 makes about 14.5 psi at redline. I could imagine it would be significantly less with the better flowing 1.8. Thanks for the advise k24madness, yes I already have the -94.
bschonman, sounds like quite a fun little 1.6. It's understandable that a higher mileage motor may start to smoke pushing that kind of HP and being pushed hard! My plans have changed since my last post. I've been tuning my 96's NA 1.8 with the ms2pnp. I've decided to use the bottom end of this motor with the 99 cylinder head that I'm in the process of porting right now. This should flow quite well and I'll have a good testbed for the mods that I'm doing. For what I had planned on selling the motor for, it didn't make sense to not use it! I have a donor, wrecked 2000 NB with 150k that I'm going to remove and rebuild the motor with forged internals, then switch it over down the road. I do still have questions on running a hybrid engine like this, which I do still have to research. What compression ratio will be without shaving the head except for a clean-up, then decide how much to shave the head. If anyone has any thoughts on this set-up, please let me know! As poormxdad did, I'll tune for longevity in the beginning, not sure how long that will last...The Kraftwerks kit came with the 350 injectors and their cookie cutter intercooler, my son says for the gusto, I'll need to get bigger injectors and a bigger intercooler, any thoughts? He's running a turbo on his NB. with 550 cc injectors and a huge intercooler. I am amazed how similar your build is to mine. I have an already built 94 bottom end with 8.5:1 forged pistons and forged rods. I got a 99 head and am researching how much I can safely deck it. Because of the lack of low-end the rotrex has, I understand you can run higher compression than a similar boost turbo setup. I think I am leaning toward somewhere between 9.5-10:1 compression, with something like a .04-.06 decking. Since my pistons are below stock compression ratio, I should have a little more room to play with, theoretically. This is my first time assembling a motor that is not stock, so my knowledge is quite limited. Please someone correct me if any of my information is wrong. Also, if from my understanding, you should have no issues with the hybrid motor. You can use your CAS with the 1.8 head. Also, my rx8 injectors (~440cc) were maxed out at this power level. I got an adjustable fuel pressure regulator to add a little extra flow and get the duty cycles down to a more reliable level. That should put into perspective how inadequate your injectors are for your goal. I have a set of flow force injectors that will hopefully do the job with the 1.8 and my higher goals. Sounds like you've been doing your homework bschonman. Higher compression on the SC build has been one of the questions that I was wondering about. I had read several months ago about Quinn Motors taking .100 off the bp4w head. He was running ITB's on the car and started off with taking off much less, and gradually, if my memory serves me, worked up to .100. The car and the build was on one of the other Miata forums, although if you see the car on youtube by looking for Miata ITB. The KSC also came with the DeatschWerks 255 LPH fuel pump. Are you familiar with it and how that will help over the stock pump? Hope to discuss it further very soon, the next few days are going to be 24Hrs of Lemons! I think I remember seeing that thread when he said he decked .06 and wished he went for more, but I guess I never finished reading it. .10 is a LOT. As far as fuel pump, I went with a simple walbro 255, which should be good until ~400 whp on pump gas, so it will meet our needs. And to continue our similarities, while you are doing 24 Hours of Lemons, I will be doing ChumpCar at VIR. Amazing. I believe that's what he ended up taking off, please don't quote me, because that does sound crazy! That kind of valve to piston clearance and compression ratio, bring up a whole new set of problems. FauxLorean. It's a Ford Focus that is a gas to drive considering it a low dollar car. Enjoy the weekend! I am running 11:1 on mine. The biggest challenge you'll have is fuel. I run E85. No way that setup will run on pump fuel. Keep that in mind as you work on potential setups. I'm personally trying to keep the car streetable and therefore have as much low end torque as a rotrex car can have. Any recommendations for pump gas? No e85 around here. And my want for low end torque rules out cams, right? Also, what blower do you run and how much power does it make with that setup? 295 WHP, CM30-74 Rotrex, pro built motor so it's tough to compare. Skip bumping compression on street car. Maybe clip the head .020 and call it good. Run the bigger 94 blower though. Should be able to get good power before detonation sets in. Depending on on where you are in the build process you should consider passing on the Rotrex and get a TSE turbo kit. Honestly it's a better setup on the street. Seems to be better on track too. Last edited by k24madness; 12-06-2017 at 03:01 PM.